So Sadin sent out this link to us and I have to admit I was admiring the goods. I will probably never complete a SET but holy WOW, I'd look pretty damn good in most of these outfits! 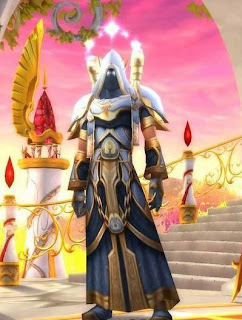 I noticed that all of the priest sets had two versions, Raiment (healing) and Regalia (spell damage). My favorite, oddly enough, is the Hallowed Dungeon 3 set. Aesthetics I mean, not stats. I can't wait to see what a party of Tier 5 peeps could do. 5 man Nax? hehe. 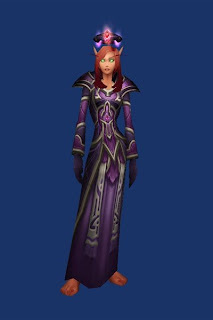 But I don't plan on getting too caught up in the Tier sets. We'll definitely go after the 10 man instance epics for sure but will probably wait awhile for the 25 man. I heard attunement on a lot of these 70 man raiding dungeons is a nightmare. 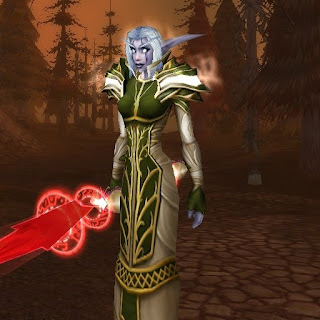 Where Have All the Alliance/Horde gone? That's why they call me stallion!